Bullying and cyberbullying are serious topic with a variety of short-term and long-term implications for all parties involved. Our guide will help stakeholders understand the elements of bullying in college, process how bullying affects others, respond appropriately to bullying, and readily access resources to help others. Invest time today to understand cyberbullying and bullying and what you need to do to protect yourself and loved ones from online and offline aggression. In its most basic form, bullying is the use of coercion, threats, and/or force to intimidate, influence, or abuse another person by an individual or group. Typical conflict bends into bullying when the real or perceived acceptable balance of physical, social, and/or emotional power becomes imbalanced in an often-repeated pattern. Tools and behaviors that are leveraged to dominate another person include physical assaults, verbal threats, coercion, harassment, and intimidation based on social class, physical characteristics, personal associations, personality, gender association, lineage, abilities, and/or reputation. The most common types of cyberbullying can be disseminated through digital mediums such as: email, cell phones calls, text messages, chat rooms, websites, and a variety of social medial platforms. Cyber Hate is related to but different from cyberbullying. Cyber Hate is the utilization of electronic communications to spread bigoted, racist, and/or bigoted information. Digital communications can include a variety of platforms and electronic mediums including: user-generated content, social networks, dating sites, websites, email, cell phones, blogs, and text messages. Is There a Difference Between Teasing and Bullying? According to Psychology Today, teasing is not just a slightly less evil cousin of bullying. In fact, there are good and bad forms of teasing. Good teasing is often known as pro-social teasing by researchers and is banter that is intended to be playful or humorous in an attempt to denote affiliation or express affection. On the other hand, bad teasing in known as anti-social teasing with the intent of harassing, intimidating, and/or hurting another person. What are the Types of Bullying Reported by College Students? What are Signs of Bullying? For some students, it is obvious when something is not right. On the other hand, it may not be quite that obvious for others given the way they process external stimuli. So how do you determine if a friend of loved one is a victim of bullying or cyberbullying? The key is the ask the right questions to unearth the root of the issue(s) before jumping to conclusions or assuming anything. You can start the process by asking a series of questions to ascertain a situation. A handy way to remember a series of pointed questions is by remembering the five W’s: where, why, who, when, and what. The five W’s are far more than just an alliteration, they will help friends and family work towards understanding a change is someone’s behavior. Below you will find a series of important questions to ask about cyberbullying and bullying. Bullying may be hard to spot given the various forms it can take across a variety of mediums. The online health and wellness portal WebMD, notes that one of the key characteristics of bullying is the repetition which it occurs. While bullying can be a singular obtrusive event, it is less likely to happen in that manner. 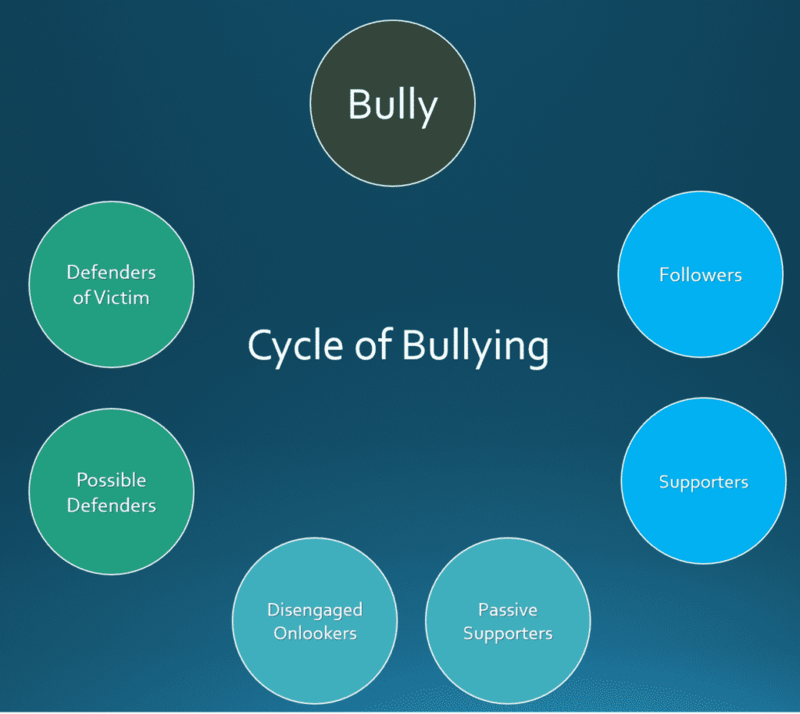 Typically, someone spearheading a bullying event is not going to make it an isolated activity, rather they are likely to carry the abuse over multiple events and interactions. In many cases, a bullying event can be a campaign with other bullies joining in the abusive behavior to forward their agenda. With cyberbullying, the abusive behavior can be constructed in a similar way as face-to-face abuse. Bullies can enlist others to participate in anti-social teasing or degrading comments via social media, text messages, or online chat boards. Text messages are typically a one-to-one type of bullying with a sender and recipient involved. On the other hand, social media and online forums can be massive communities where (untrue or unflattering) information can be disseminated quickly. Cyberbullying can incite behavior that can extend beyond the traditional bounds of a school day as digital communication is always present. Another unique aspect of cyberbullying is the lengths some people go to obfuscate their identity. Masking personal information presents a different set of challenges for students, families, schools, and internet service providers to suss out bad actors online and stop such behavior. What are the signs that someone is being bullied? Violence – Students that have been victims of bullying may react in a violent manner towards the bullies or others in their lives. Feeling trapped and/or unsupported, some students may resort to violent behavior or violent thoughts as a result of cyberbullying. In fact, the United States Government website, StopBullying, found that students who bullied others students were more likely to have criminal convictions as an adult, engage in early sexual activity, be abusive towards their partners, drop out of school, and abuse drugs. Substance Abuse – Using illicit drugs or alcohol is not in and of itself a direct correlation to cyberbullying. However, research by the US Government and non-profit agencies of all sizes have gathered data to support the fact bullying can lead to substance abuse by both the instigators and the victims. Depression – Student depression is highly correlated to bullying. The two are so highly intertwined that research has recently revealed that both the victim and the aggressor may suffer from depression and depressed thoughts later in life. Common psychological effects of depression include a change in self-esteem, fatigue, headaches, anxiety, loss of sleep and other known issues. In addition to the immediate feelings of depression in school, research has shown that students bullied in secondary school were more prone than a baseline group to experience depression later in life. Suicide – The United States National Center for Injury Prevention and Control (CDC) has put together a top-notch research paper on the relationship between bullying and suicide. Their comprehensive guide outlines known factors of bullying and the correlation between suicide and bullying. Suicide-related behavior can include suicide, suicidal thoughts, suicide attempts, and suicidal ideation which has been shown to increase in intensity with the presence of bullying in school. Research analysts at the CDC know enough about the correlation to make evidence-based recommendations to enhance prevention measures. Withdrawal – One of the most obvious and notable symptoms of cyberbullying is withdrawal. Withdrawal can be incremental or immediate as well as partial or full depending on the person and the situation. Students being bullied may pull back from social groups and typical social interactions along with close friends and family. Often students will employ a variety of coping mechanisms to manage the anxiety and pain associated with being bullied. Bullied Students – Students that directly experience being bullied can experience a host of mental health, physical, and academic issues. Bullied students are more likely to complain of health-related issues, participate less in school, feel depressed, have suicidal thoughts, abuse illicit drugs, feel depressed, or retaliate with aggressive behavior. Bystanders – For students that witness bullying or communicate with victims of cyberbullying, the effects can be real. Bystanders of bullying have been found to miss more school, see an increased usage of drugs, and experience more mental health problems than a baseline group of students. Bullies – Individuals that bully other individuals or other groups of students have been noted to engage in risky behavior into adulthood when compared to a control group. Bullies are far more likely to abuse drugs, be convicted of crimes, abuse others, vandalize property, and get into fights throughout their lives. What issues can bullying cause? According to Doctor Steven Schlozman, Professor of Psychiatry at Harvard Medical School, bullying can cause a host of issues depending on the person. Dr. Schlozman says that the unfair exercise of unchecked power can create a form of social anarchy that can result in psychiatric syndromes such as trauma, depression, substance abuse, anxiety, suicidal behavior, socialization issues, and learning problems across the span on life. In addition, students can develop a sharpened sensitivity to bullying along with insomnia and a heightened level of vigilance. Dr. Ben Michaelis is a visiting scholar at Columbia University and popular blogger in the wellness and mental health space. His belief is that bullying, at any level, can be damaging. Physical bullying is the most obvious because you know when it is happening while psychological and mental bullying can be quite nefarious. Mental and psychological bullying can happen even if you are not aware of it and can be more damaging to students that physical bullying. Who does bullying happen to? Bullying can happen to anyone at any time in: a private setting, public environment, home, your place of work, classroom, or on the playground. Cyberbulling and bullying can happen to any individual or group of people both online and offline. Bullies can leverage unchecked power to elicit a response from a person for a variety of reasons in an amalgamation of ways. Who is more likely to be bullied? While anyone can be bullied, it appears that certain populations are more at risk to be bullied than others. These populations can include adolescents, those of minority sexual orientation, students developmentally out of sync with peers, students of minority or unclear ethnicity, unusual life circumstances, and unique physical characteristics. While not intended to be an exhaustive list of at-risk students, it can help shape the conversation around the complex dynamics of bullying. It is everyone’s responsibility to help prevent bullying. Regardless of your role (student, friend, parent, employee, classmate, roommate, intern) you must hold yourself and others accountable. Being courageous and standing up in a challenging situation can help prevent that situation from manifesting into something much bigger and dampen persistent bullying going forward. 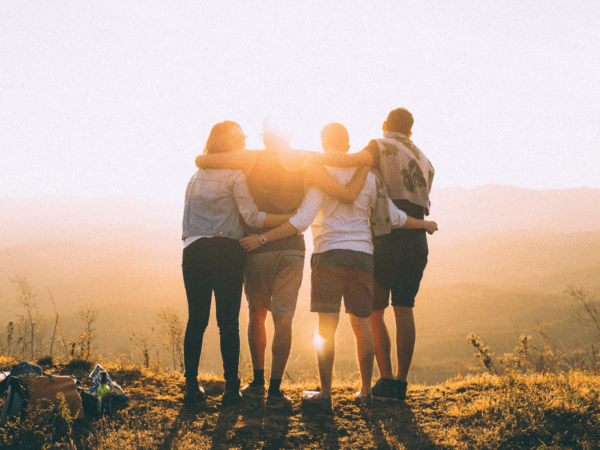 Social support to stand up to a bully can come through formal channels like a parent, supervisor, or professor as well as informal pathways like a friend group and socially-charged individuals. There are a host of reasons that bullying can occur that driven by a range from feelings of insecurity to machismo and from a sense of belonging to feelings of control over others. Regardless of the motivation, we know that bullying and cyberbullying are real. According to psychologist Dan Olweus, there must be three critical components for bullying to occur that include: victim(s), bully, and bystander(s). The bully is the individual or group of persons ultimately responsible for starting the cycle of bullying. In addition to the bully, there will generally be two supporting groups that are active in the process. The first is a group that are followers that may not initiate the bullying but actively participate in the process. Then there are supporters or passive bullies that support the activity without participating. Victims are the target of the bullying albeit physically, emotionally, sexually, and/or psychologically. As a subset group on the victim side of the ledger, there will often be two distinct sets of groups ranging from active to passive participants. Defenders are those that are actively involved in stopping the bullying while possible defenders disapprove of the bullying and may consider helping. Bystanders are those not directly involved in the bullying but may be at arms-length or hear about a bullying situation. This group is often divided between supporting the bully or defending the victim. A group known as disengaged onlookers observe bullying but do not get involved as they do not believe it’s their place to step in. Meanwhile, passive supporters will privately side with the bully without publicly declaring a position. Bullying can happen in a variety of setting that include: bullying in school, work, home, neighborhood, restaurants, parks, transit center, athletic events, and about anywhere people engage with one another. Cyberbullying can happen at any time digital communication takes place on virtually any platform. Cyber communication and cyber bullying has the added component of scale when it comes to communications as supporters and detractors within the confines of an issue can grow or shrink rapidly. Where are students safe from bullying? Students are safe from bullying when the proper policies in a school or organization are established, communicated, and enforced across all social classes and positions. Cultures that do not tolerate bullying, harassing, cyberhate, and defaming comments have the power to snuff out bad actors swiftly before gaining traction. Weak cultures that do not deter bullying nor prescribe consequences are perpetually mired in conflict and bullying behavior. When is bullying more likely to occur? Based on the most recent report by the NCES, approximately 22% of students are bullied at some juncture. However, diving into the data a bit deeper we can illuminate junctures in time where bullying is more prevalent. A recent study by the non-profit group NoBullying reveals that students in middle school and junior high school are more likely to be bullied than later in their academic years. More specifically, twenty-seven percent of those middle school students surveyed said they were threatened by classmates while fully 44% said they have been called names or teased. In a separate study by the NCES, they discovered that some 37% of sixth grade students had been bullied during the school year. As students moved through middle school and through high school, the percent of those bullied in their final year of secondary school dropped to twenty-two percent. When should you say something about bullying? Below you will find a host of resources developed to help students prevent bullying and cyberbullying in college. We outline steps that schools should take along with helpful resources for students and parents to navigate the thorny issue of bullying. What should schools do to help prevent cyberbullying? What can students to do help prevent cyberbullying? What should parents do if their student is being bullied in college? What to Do if You See Someone Being Bullied? Support: Offer support to those being bullied in the form of encouragement and positive comments. A short, meaningful conversation can have a lasting impact on a classmate for the good. Rumors: You are responsible for correcting untrue statements and stopping the rumor mill from taking flight. Remember the Golden Rule and put yourself in another person’s shoes to help tamp out rumors before they take on a life of their own. Participation: Bullying will often thrive off attention so make sure to not passively participate by standing and watching. Consider walking away to get help and encourage others to do the same. Speak up: If you see someone being involved in bullying, talk to an adult or person of authority and encourage others to reach out in a similar manner to help shed light on the situation. Encourage the victim to do the same and offer to be with them during the conversation. Advocate: Unless the situation is unsafe, consider advocating for someone being bullied to help diffuse the situation. Defending someone may be a quick way to mitigate the situation and get past a larger conflict. Anti-Defamation League (ADL) - The Anti-Defamation League or ADL is a US-based organization to help educate, advocate, and legislate against anti-Semitism and hatred. They have comprehensive toolkit that can be a great resource for students, teachers, and parents to appropriately respond to cyberbullying and bullying. Tyler Clementi Foundation (TCF) – Tyler Clementi is a non-profit organization founded by Tyler’s family to help prevent bullying and cyberbullying with the assertion of dignity and acceptance. His story is intertwined with higher education support systems, youth in crisis, LGBT equality, cyberbullying, and safety in school. BullyBust (BB) – Bully Bust helps promote a community of upstanders. An upstander is an individual that is committed to standing up to bullying, mean behavior, or cruelty. The BB community is mobilized to end harmful harassment, violence, and teasing in school’s across the nation. No Bully (NB) – The team at No Bully created an evidence-based program utilizing student empathy to help end the bullying crisis. No Bully has a system that helps solve ninety percent of incidents with a four-step guide for administrators, teachers, and coaches. National Suicide Prevention Lifeline (NSPL) – NSPL offers an incredible national service to help prevent suicide by providing resources and local crisis centers to provide free, confidential support 24 hours a day. The NSPL helps individuals build awareness, empower others, and advance industry best practices. The JED Foundation (JED) – As one of the leading organizations in the country, the JED Foundation works to help college students promote positive emotional health. JED offers self-help educational tools to strengthen mental health programs in schools, develop powerful partnerships, and equip students with tools to cope with mental health issues via a comprehensive, holistic approach. Champions Against Bullying (CAB) – CAB is a collaborative organization focused on supporting a society where every child has the ability to thrive, learn, and develop in an environment without fear of violence or harassment. No Mean Girls – No Mean Girls is a movement to help eliminate mean behavior. Girls and women of all ages can participate in supporting one another in a positive, friendly, and cooperative community through this national movement. When there is an alternative to just accepting meanness, choose to eliminate it. End to Cyberbullying ETCB – The Ctrl-Alt-Delete program from the organization End to Cyberbullying is a non-profit organization that was created to end cyberbullying in the modern age. Through the process of educating and raising awareness, stakeholders of all ages can help create a society devoid of cyberbullying. DoSomething - The DoSomethingorganization is rife with celebrities and well-known figures to share their stories. It becomes clear that everyone has been impacted by bullying and you are not alone in the fight against bullying.